Opposition leader says the Syrian rebels fighting to oust Assad need the protection of no-fly zones near the borders with Jordan and Turkey. Syrian rebels fighting to oust President Bashar al-Assad need the protection of no-fly zones and safe havens patrolled by foreign forces near the borders with Jordan and Turkey, a Syrian opposition leader said on Sunday. 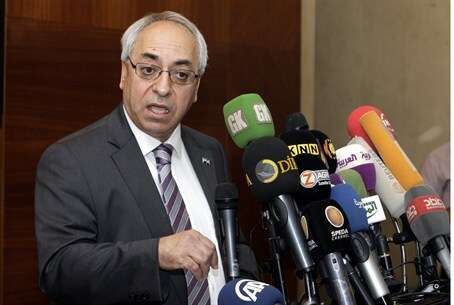 Abdelbasset Sida, head of the Syrian National Council, was quoted by Reuters as having said the United States had realized that the absence of a no-fly zone to counter Assad's air superiority hindered rebel movements. He was speaking a day after U.S. Secretary of State Hillary Clinton said her country and Turkey would study a range of possible measures to help Assad's foes, including a no-fly zone, although she indicated no decisions were necessarily imminent. Clinton spent the weekend in talks with Turkish Foreign Minister Ahmet Davutoglu over the escalating civil war in Syria, and working on the creation of a new working group to deal with the threats of chemical warfare and terrorism emanating from the country. “We need to get into the real details of such operational planning and it needs to be across both of our governments,” Clinton told reporters in a briefing on Saturday. She added that the U.S. goal was to “hasten the end of the bloodshed” and the regime of President Bashar al-Assad. A similar no-fly zone in Libya is said to have greatly advanced the fall from power of former Libyan dictator Muammar Qaddafi. Meanwhile, Reuters reported, Battles raged on Sunday in the northern city of Aleppo, where tanks, artillery and snipers attacked rebels in the Saif al-Dawla district next to the devastated area of Salaheddine. Syrian civilians desperate to check on their homes pushed into fluid front lines around Salaheddine, even as sniper fire cracked out and rebels warned them to stay away. One rebel commander told Reuters tanks had advanced into Salaheddine, despite attempts to fend them off by 150 fighters he said were short of ammunition. At the same time, at least 20 people were killed on Sunday in the second day of an armored offensive to retake the northern Damascus suburb of al-Tel from rebels, opposition activists said. Heavy artillery barrages were hitting the Sunni Muslim town as loyalist troops made a renewed push after an attempt to storm Tel on Saturday was repelled, several activists and Free Syrian Army sources in the area said. The Arab League said it had postponed a meeting of Arab foreign ministers scheduled for Sunday to discuss the Syria crisis and to select a replacement for Kofi Annan, the United Nations-Arab League envoy, and would set a new date. Deputy Arab League chief Ahmed Ben Helli told Reuters the meeting was delayed because of a minor operation undergone by Saudi Arabian Foreign Minister Prince Saud al-Faisal.